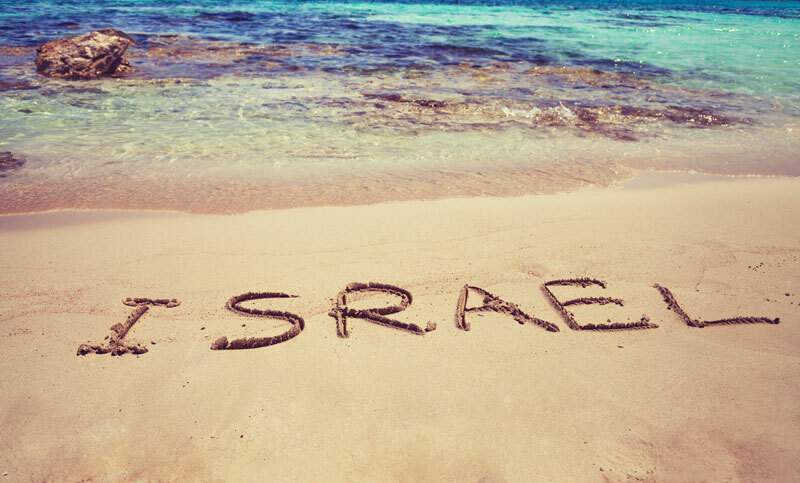 English-speaking olim have had a tremendously positive impact on the Israeli economy. From influencing the business culture, to working and investing in hi-tech and entrepreneurial ventures, it’s hard not to see their impact in all walks of business life throughout the country. However, one area in which many Anglo olim are under-represented is the Israeli stock and bond market – the Tel Aviv Stock Exchange (TASE). I gave a seminar recently and while the audience sharpened their financial planning skills with many newly-learnt financial planning points, no-one had a clue about investing in Israel. Recent years testify to the Israeli market’s outstanding performance. The ongoing growth of the Israeli economy, the continued dominance of Israeli hi-tech companies, as well as the ability of the Israeli market and economy to avoid the major financial blunders that overwhelmed other countries are just some factors contributing to its upward curve. The Tel Aviv 100 index more than doubled over the last decade giving a return of almost 119%, or an average annualized compound return of 8.14%, and that’s without the additional 17% in 2010. And while the market has recently fallen below the record highs, it might provide a good entry point for new investors. So where do you start? Investing in the TASE can be done in Israel through either your bank or a brokerage house that is a member of the TASE. If you plan to invest via your bank, you will need to open up a separate investment account at the bank. Most of the time, this new account will appear on your bank’s website access together with your existing current account. When you invest through your bank, you must approve all transactions in your account. Banks employ licensed investment advisors who are allowed to give you advice on what to invest in, given your specific needs. However, the decision is ultimately yours and you will sign off to this effect. All changes in the composition of your investment portfolio must be approved by you. While some branches reach out to their clients recommending occasional changes in their portfolio, the average client will need to stay abreast of market developments and the effects on their portfolio in order to make changes as time goes by (eg. rebalancing). Although banks do not charge for their advice, there are two specific fees connected to each investment account: a transaction fee per purchase/sale of a security and a holding fee (D’mei Shmira) for holding your investments in the bank. Transaction costs can range from 0.1% to upwards of 0.8% of the value of the asset. The holding fee also varies greatly between banks and between customers: usually between 0.2% to 0. 8%. This vast range of fees is due to the fact that that the banking system in Israel is akin to a shuk. You must be prepared to go in and bargain with your bank to get the best rate possible. Banks also sell mutual funds from brokerage/investment management companies that can be purchased for your investment account. There are a great variety of mutual funds that are managed by local brokerage houses investing in a wide range of assets, investment styles and risk levels. While mutual funds do not cost money to purchase like stocks and bonds, they have an assortment of built-in fees that are not visible to the average investor. Management fees generally range from 1% to 4%, much higher than those charged in North America. You will also need to ensure that you are monitoring the performance of the funds, as there is no obligation for the banks to send you a prospectus or to update you about changes in the fund. Brokerage houses provide another direct avenue for investing in the TASE. They operate similarly to banks in that you can hold and manage your assets (including mutual funds and individual securities) through them. However, the big difference is that the brokerage houses (and the independent portfolio managers who work with them) have the ability to manage your money for you. Portfolio managers (Minahalei Tikim), who can either work independently or for the brokerage houses, are paid to manage your money. Together with you, they define the desired risk level, goals of the investments, income requirements and other specific needs and are then given the responsibility of making the investment decisions. Although you pay your portfolio manager for a service that you could in theory do yourself, many seasoned investors choose to work with portfolio managers for the same reason that they employ independent professionals to help them in almost all other aspects of their life – from car maintenance to personal health issues. In many cases management fees can be significantly less than the sums involved in investing in mutual funds, and the transaction costs and holding fees that they charge can also be substantially less than through the banks (ie. volume discounts for their clients). Independent portfolio managers have the flexibility to manage your money, whether it is held at your local bank or brokerage house. They work exclusively for you, and personalize your portfolio after spending significant amounts of time with you, familiarizing themselves with your specific needs. And since their fees are often less than the cost of investing in mutual funds you receive a personalized service at no extra cost. If the concept of investing in Israel has been too daunting for you to contemplate, hopefully the above points will start the demystification process. Work out your requirements, and don’t be shy about asking questions. Open your eyes and mind to the multitude of professionals out there, and find the one who speaks your language literally and metaphorically. Note: The above article is not, nor should it be a substitute for, financial advice relating to any individual’s specific needs. Next ArticleHas the worldwide slowdown slowed you down - yet?